Tim Hortons has an annual contest named “Rrroll Up The Rim To Win” where you roll your coffee cup rim to win prizes. If you’re feeling really Canada otaku, here’s some interesting information about the game. The “Rrroll Up The Rim To Win” contest is played every February until around the end of March. Check out the video below to see an original TV advertisement to hear the pronunciation. 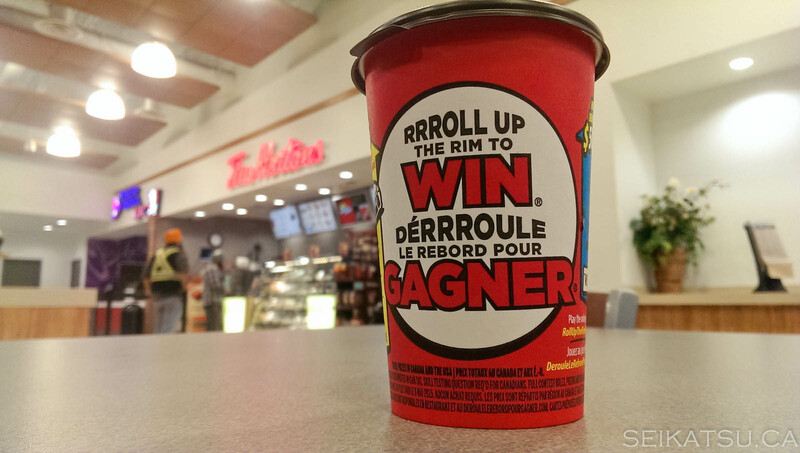 Also, make sure you check out our video here on how to roll up the rim to win!